Wait, what? Caring for my soap? Don’t I just, you know, leave it? I know, it seems a bit nutty that I’d devote an entire blog post to soap care, but I would be remiss to ignore this important piece of handmade sudsing. 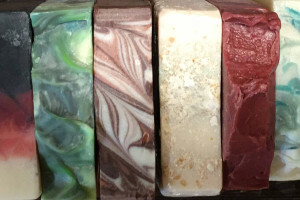 Unlike commercial soaps, artisan soap does not contain preservatives and hardeners. Additionally, handmade soap is loaded with naturally occurring glycerin, which is great for your skin, but doesn’t play well with standing water. 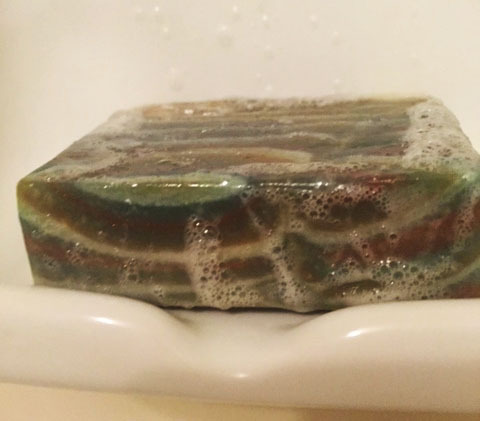 Read on for a few quick tips to extend the life of your soap, as well as what to do with those soap scraps once your favorite bar has rocked your world and rinsed away. My favorite world rocker. This week. 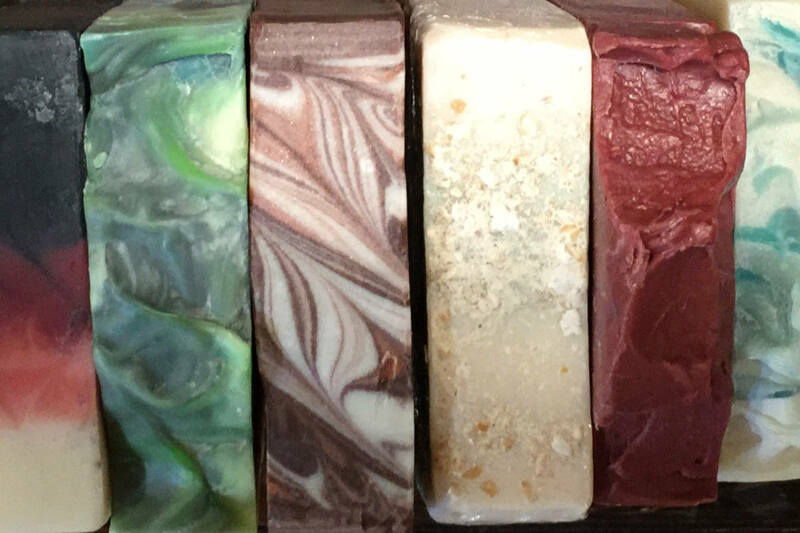 Artisan soap is created using natural lathering agents and cleansers. In well balanced, precise soap recipes, the saponification process (where the oils and lye meet and mingle to create soap) creates a moisture rich, skin nourishing, ultra cleansing yet gentle bar of soap. Full of lather, loaded with glycerin, handmade soap is great for your skin, without a doubt. But with the lack of preservatives found in commercial soaps comes a price: shorter shelf life. Glycerin is a natural humectant, and as such, it tends to break down in standing water. This means that a bar of artisan soap needs an opportunity to dry out between uses. No real effort is required to facilitate this process; a draining soap dish or soap rack in your shower or on your countertop allows your soaps to sufficiently air out when not in use. These items are readily available on Etsy (Soap & Clay will have a line soon!). Sudsers have also used a dry washcloth to set their bars on between uses as well, with great success. Backstock also rocks my world. For the soap that you’ve purchased but have yet to use (backstock is AWESOME! ), storing as you would any other bath product will suffice. Under cabinets, in drawers, in linen closets – any area that is cool and dry is perfect to ensure that your precious bar of artisan soap is as fresh as possible when you are ready to use it. Remember, though – handmade soap should be used within six months of purchase. No preservatives, remember? If you’re anything like me, you hate to see anything go to waste, especially your beautiful soap! But eventually even the hardest, biggest slice of soap wears down to an itty bitty scrap, a mere shadow of its former glory. Sigh. To the trash it goes. NO!!! There are loads of creative ways to get the most out of every little bit of soapy awesomeness. Laundry soap. Another world rocker. My world is easily rocked. 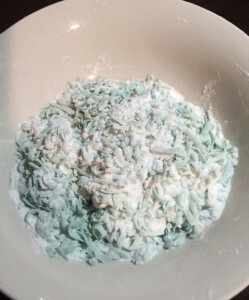 Personally, I’m a big fan of turning my soap scraps into laundry soap. I throw a few tablespoons in with each wash, and I’ve found that my clothes are cleaner and I haven’t needed to pretreat stains (a huge bonus, considering the Soap & Clay kidlets dirty clothes faster than I can clean them). 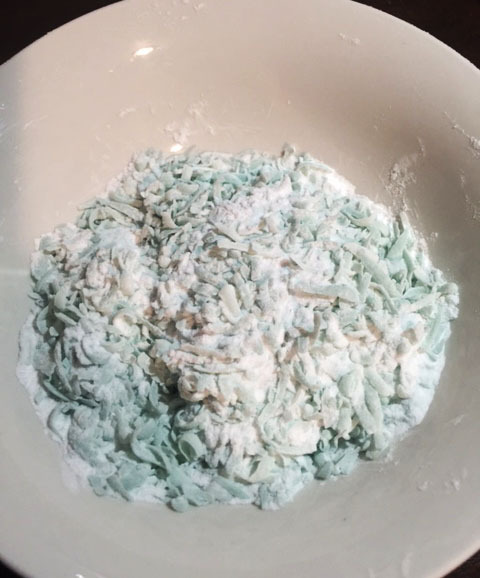 To make a basic laundry soap, you need two things: shredded soap scraps and baking soda! Using a 1:1 ratio, mix the two together in a bowl and boom! Phenomenal cleaning power without chemicals and detergents. Give it a try and let me know how you like it! Here are a few other fun ways to get the most out of your soap scraps. Gather soap scraps in a mesh bag, and use the bag as a washcloth/sponge. Any seamstresses out there? Keep soap scraps in your sewing box to mark fabric and smooth seams. And there you have it: basic artisan soap care and some nifty ways to reuse soap scraps in one little blog post. Soap & Clay, saving you money every day. You’re welcome.